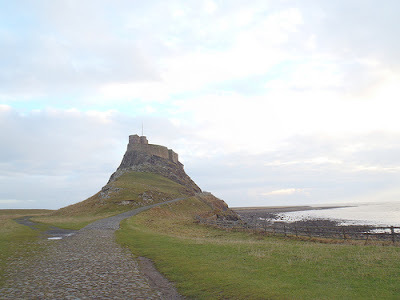 A 1,000 acre island in the North Sea, connected to the mainland by a causeway which is only open a couple of hours either side of low tide the Northumberland Island of Lindisfarne is a beautiful place, best known as a centre of English Christianity after a monastery was founded here by Saint Aidan, at the request of King Oswald in 635 AD. As well as the ruined priory, the island is home to a castle - a 16th-century fort redesigned by Edwin Lutyens as an upmarket holiday retreat for Country Life owner Edward Hudson - and an attractive little village with a few shops. However, most of the island is farmland or sand dunes, and all is covered by the Lindisfarne National Nature Reserve. Yes! I scored. Been there. Loved it. In the mist.